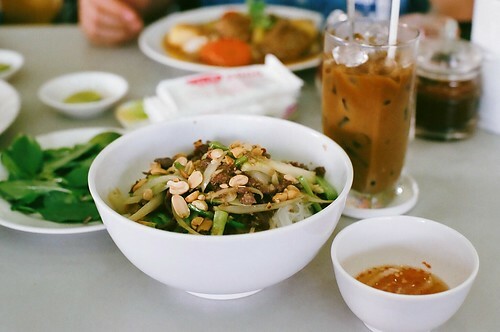 Bò lúc lắc (pan-seared beef) with noodles and a glass of thick iced Vietnamese coffee. So. Good. 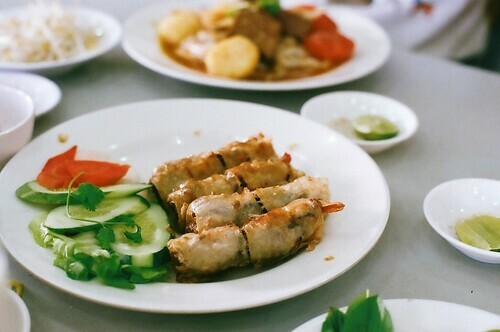 Bánh tráng (Vietnamese rice paper) is used in many dishes. 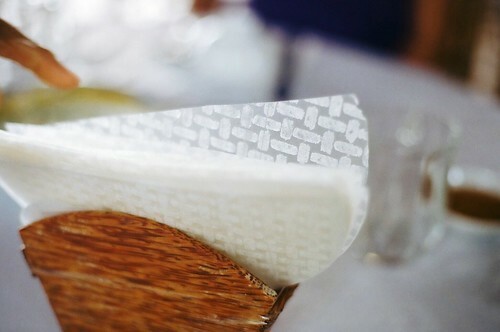 It looks and feels like plastic when dry, but becomes stretchy and floppy when wet. 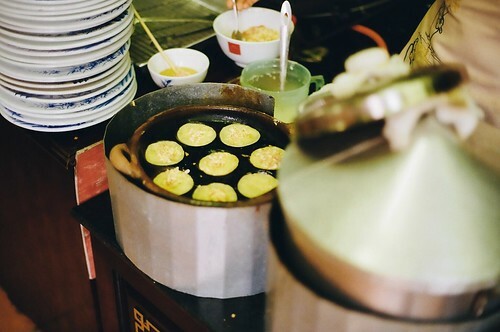 I visited Vietnam for the first time last December and found everything about it fascinating: the country's tumultuous history, the 6 million motorbikes in Ho Chi Minh City, the language, the busy cities and the open countryside, and, of course, the food. 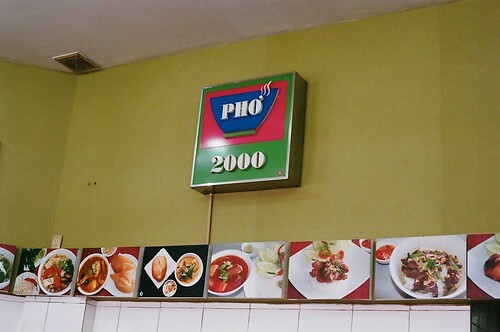 On our first day in Ho Chi Minh City, we ate at Pho 2000, a small, touristy restaurant near Ben Thanh Market (the first 5 photos). 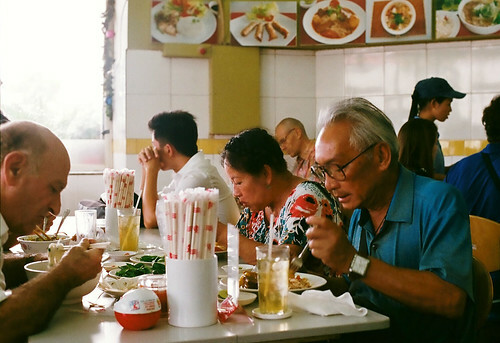 This eatery is famous because there's a photo on the wall that shows Bill Clinton dining there. Despite (because of?) 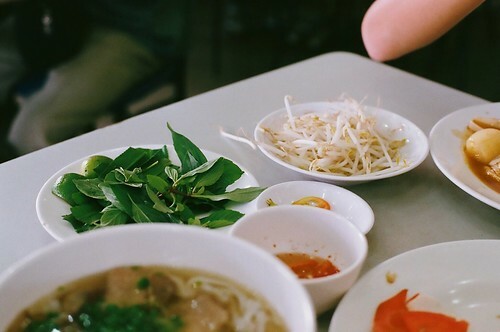 the hype, the food was delicious, and so was everything else we ate during the trip. That looks delicious! I want some! The food was severely scrumptious! 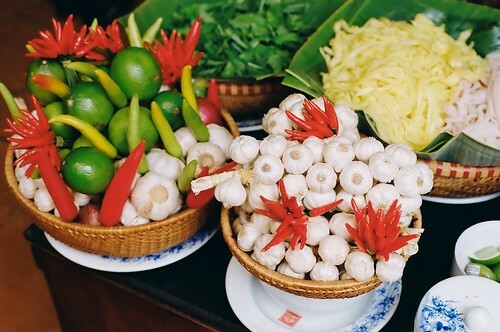 Are there Vietnamese restaurants in Umeå?